Details The title refers to the exact temperature at which paper catches fire. 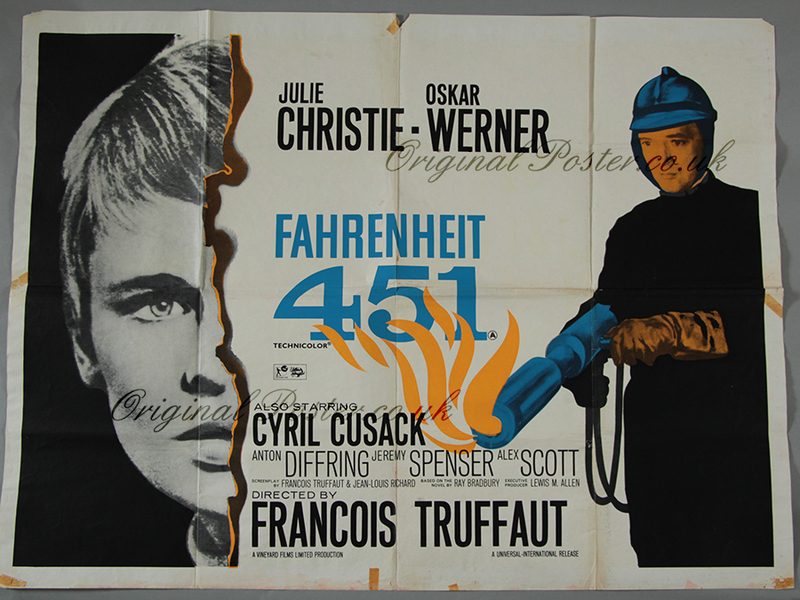 Appropriate for a film concerning the banning and burning of books and a useful fact also for the poster collector to note. Please note this poster has old tape marks in the borders as seen, slight paper loss in the top left corner and tope centre border. The poster was also reused by the cinema manager and has "Kenneth More in Northwest Frontier also Leslie Phillips In The Doghouse" written in red paint on the reverse in large lettering, this does not show through to the front of the poster unless held up to the light.